Barbecue and wine are a match made in (good) heavens at Bourke Street’s sophisticated barbecue restaurant Fancy Hank’s and Palm Springs inspired bar Good Heavens. 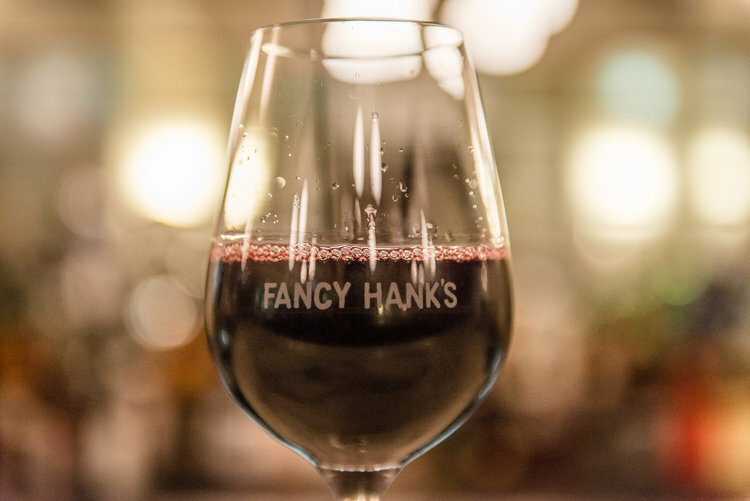 The team at Fancy Hank’s has teamed with Quealy Estate on the Mornington Peninsula to create two special tap wine blends, which have been specially created to sit well with the smoky flavours on the Fancy Hank’s and Good Heavens menus. Quealy Estate are known as pioneers in the region for their contemporary vine and wine techniques which suit more natural styles of winemaking. The two blends include Hank X Quealy Co-lab Rosso, an approachable red blend with the aroma and flavour of blackberry and chocolate. The wine is bright, textural and eminently drinkable with a ripe soft tannin and moderate acid perfect for barbecue. The Hank X Quealy Co-lab Bianco is a mixture of white Quealy Estate grapes Friulano, Fiano and Moscato. Made with smashing drinkability in mind, the wine is dry, crunchy and delicious. Kathleen Quealy, Quealy Estate founder and head winemaker says “the spice and aromatics we draw from these Australian grown Italian varietal grape skins really suits Fancy Hank’s food”. While tap wine is still a foreign concept to some, the new technology available to create these blends actually ensures a better product best served ‘by the glass’. “Tap wine technology has improved so dramatically that it now provides the opportunity to serve wine by the glass without any oxidation. Fancy Hank’s have invested in the infrastructure that ensures every glass is fresh. It’s a big investment and shows their commitment to creating the best product for their customers,” says Kathleen. There are also environmental gains over serving wine by the glass instead of from a bottle. The carbon footprint is reduced because there is no glass, cardboard or printing required plus the containers are 100% recyclable and 50% of recyclable materials are used to make each keg. 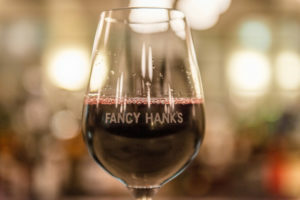 Fancy Hank’s Executive Chef Mike Patrick says “Customers are really enjoying the tap wine options at Fancy Hank’s and Good Heavens. They are light enough to enjoy on the rooftop bar and still balanced enough to suit drinking with smoked meats at Fancy Hank’s. It is a great match to our style of service and food, and being able to order by the carafe is fun and a little throwback!’. Fancy Hank’s new winter wine list has also launched. Sample the tap wine as well as two new highlights from the menu, a Beal & Co Merlot and Reed Alexia Grenache, which both work beautifully with beef brisket.